Press Release Announcing the Publication of Stamping Destroyed My Life. As promised, John came home around 5:30 to take the kids out for dinner so they wouldn't be around for the workshop. Plus, I wanted John out before the valets showed up at 6:45. However, the RSVP Catering van was in the driveway when John arrived. Forgot about that. I wasn't tried to hide anything; I just didn't have time for questions. "M, a catering van? You said the workshop wouldn't cost a dime! How much is this costing us?" I could have dismissed his concerns and told John we'd discuss later, but I loved and respected him. He deserved an honest answer. "John, darling, it isn't going to cost a penny, a dime, or a dollar. Really. Yes, there is an initial upfront expense, but I have a plan. Within six months, I will have repaid the cost of the caterer and made a profit. I cut back where I had to on this workshop. For example, I nixed the photo booth and bag piper." John just stood there, and his eyes moved from one marvel to the next. Platters heaped with beignets and crisps and other yummies were scattered throughout. An ice sculpture with the GDWS logo carved in it was in the center of the dining room table, glistening under the crystal chandelier. China and crystal goblets shone in the candlelight. Not a paper plate or plastic cup in sight -- this wasn't a Tupperware party. Silver bowls of flowers with mini greeting cards inside that Gina had provided in advance were scattered throughout the rooms. 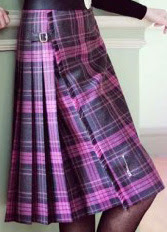 And speaking of amazing, my new pink and black kilt and black cashmere top quietly stated, "You want to be me." My manicure matched the kilt perfectly and my black patent leather Ferragamo flats were comfortable and classy. At the last moment, I nixed the velvet headband -- decided that it would hint too much of Hillary Clinton. Critical to keep politics separate from business. And make no mistake, this was business. I had tried making a few cards when my box of GDWS stuff came, and it was way harder than I thought. The images were all smudged and all my sentiments were crooked. I put all that junk in a closet until I could figure out how to use it. Except for the fact that I did not know how to stamp, I was ready. If Gina didn't want to sell out, there was always Plan B. "An ICE SCULPTURE? ?," John said, almost raising his voice. "Cool, isn't it? Could you move a bit, honey? I want to get a picture of it." "M. M. M," he sputtered. "How can you possibly pay this off in six months?" "John, I have a plan. And part of my plan is to have tonight be amazing. And it can't be amazing if I have to stand here talking about my plan. Can we please discuss this later?" Buffy and Garrett walked in and that, thank heavens, ended our conversation. We rarely argued, and if we did, it was never in front of the kids. Off they went. Kisses from everyone, including John. All was well. By then the caterers had left, and I sat down and took a moment to take it all in. I poured a glass of wine and popped a xanax -- I needed to be my best. The bell rang. Must be Gina. "M!," Gina exclaimed. "Valets? I can't believe you paid for valets. And where did you get those GDWS caps?" I could tell she was impressed. "Gina, where are 50 people going to park? Seriously. It's a beautiful night, but what if it had been raining? And aren't the caps darling? I just photocopied the logo and went to the Cap Store. No biggie." Gina mumbled something about copyright law and blah blah blah. Nothing worse that a wanna be lawyer. Ok, Gina, send in the FBI. I'm a copyright criminal, I thought. But I said nothing. Gina looked around. She'd never been in my house and I could tell she was blown away. "M, this place is stunning. Oh my, look at those platters. What are those? 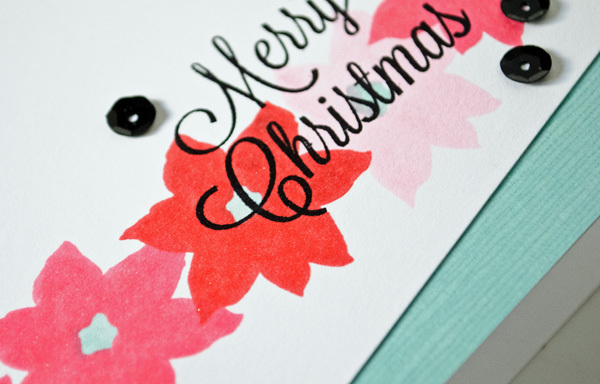 ", she asked, gesturing at the dark choclate greeting cards with raspberry ink. "Chocolate cards! Aren't they darling?," I responded. Then I walked her through the menu and offered her some chilled sparkling water or hot cider. "No way, although I did design the menu. The lemon pomegranate lasagna was my idea. I had RSVP Catering create it just for tonight and promise to never make it again. Luckily, they seemed fine with it." Gina gasped, "You catered a workshop?" And then she spotted the ice sculpture. "Wow, an ice sculpture! What's that carved in the middle?," she asked, peering closer. "The GDWS logo. Now don't go all legal with me. Everyone knows that you can't violate copyright laws if the logo melts." Gina shook her head and said, "Hostesses make brownies and if they are feeling ambitious, maybe some salsa and chips. The really ambitious ones might upgrade to pigs in a blanket. This is fabulous, but kind of a bit much. I'm not sure it goes with a stamping workshop." I grimaced at the thought of serving salsa anywhere near my oriental rugs. Good gawabba, we didn't have as much in common as I first thought. I bit my tongue, which trust me, almost never happens. How could I tell Gina that, even though the GDWS website indicated that she was a top demo, she really didn't have a clue? I couldn't. I still needed her. "Oh, sorry Gina. Sometimes I get carried away. I won't make that mistake again." And, with that I walked away to answer the doorbell. I stood at the door and introduced myself as the crowd poured in. "Hi I'm M. Thank you so much for coming! Make yourself comfortable. This is going to be fun! The show starts at 7:30. In the meantime, have a bite, and if you have a chance, go say hi to that woman over there with the gorgeous dark hair and red twin set. That's Gina. She'll be making the presentation tonight." More and more women showed up. They ate, talked, looked at the samples, and the cattys. Every once in a while, someone squealed when she saw the ice sculpture. You could feel the buzz. I slowly worked the room, getting names and contact information and providing my own. At 7:30 sharp I moved everyone into our Great Room. It was tight, but between our furniture and the chairs I rented, everyone had a seat. Standing is a buzz kill. Gina began by welcoming everyone and introducing me. "Let's thank M for this amazing spread." I stood up to more than polite applause and sat down quickly. I watched Gina carefully. I had a lot to learn. Gina's presentation was smooth as glass. She had asked me if there was anything I wanted her to emphasize and I suggested she start with Stamping 101 + Embossing. I figured the folks were here for the free food and would have no clue what stamping was. And I was right. Gina did as asked. It was great. After she embossed a card, the ladies clapped! I sat in the back and didn't say a word and didn't volunteer. She had the group laughing and asking questions. One woman asked how much it all cost, and Gina responded. "Stamping can be an inexpensive or an expensive hobby. It is up to you. I have a recommended "starter kit" that comes to $120. 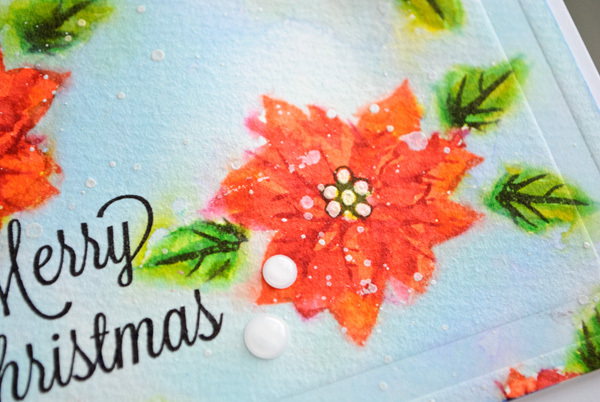 That's a lot of money, especially for you underpaid teachers like Michele Hetland over there, but it includes everything you need to make all the Christmas and birthday cards you'll need for the year, including envelopes. 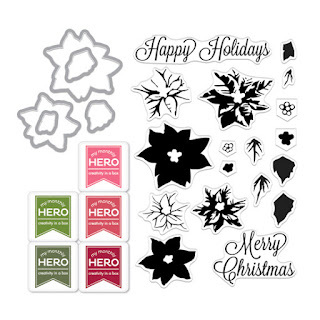 If you don't celebrate Christmas, you can substitute some other stamps. Add up how much you spend on Hallmark, and you'll see that making them on your own is actually cheaper. Yes, there are bells and whistles you can buy, but you don't have to." Well, isn't that interesting, I thought. No mention of this starter kit when I was shelling out over $600 at Francie's workshop. I let that thought drop immediately. That was yesterday, when I expected just to sit around banging stamps on ink pads and watching our kids chase fireflies. Now I was going to become the #1 GDWS demonstrator. Sure enough, the women asked to see the starter kit list, and Gina took out a bunch of photocopied lists -- with a stamped image on them, and distributed them to everyone. Gina's presentation ended and the women started flipping through the cattys and filling out orders. Gina walked around answering questions. And then it was over. The ladies left. John and the kids were upstairs. I moved the sculpture to the back lawn so it could melt in peace, and told my housekeeper she could start cleaning up. Gina and I sat in the kitchen. She took out her calculator and motioned me over. She looked exhausted, but excited. "M, I have to be honest. I thought you were nuts when I walked in here. But I have to hand it to you. We have $11,575.89 worth of orders!" Bingo. Making money at this stamping stuff was going to be sooo easy. We high fived, and then I said, "Gina, there is something I want to ask you." Posting next week's Just Dandy Studio project a little early. This ruffle ribbon is so sweet. Adhered it to some Just Dandy Studio wrapping paper with double sided tape and it made a darling decoration for a gift. Love pairing these bright colors with kraft. 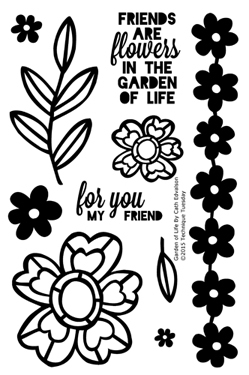 Also wanted to mention that Melissa at Just Dandy Studio puts out a lot of FREE printable downloads. You can find her blog here. Just love this one! MOOD WHEN DONE: Happy. And grateful. They seem to go together at times, don't they? I've taken to hand stitching and decided to try it with Just Dandy Studio twine. Separate the twine and use only 2 strands at a time. Makes it easier to get through cardstock. This was fun and I love these Hero Arts flowers stitched with the Just Dandy Studio twine. Can you tell its white ink on gray cardstock? 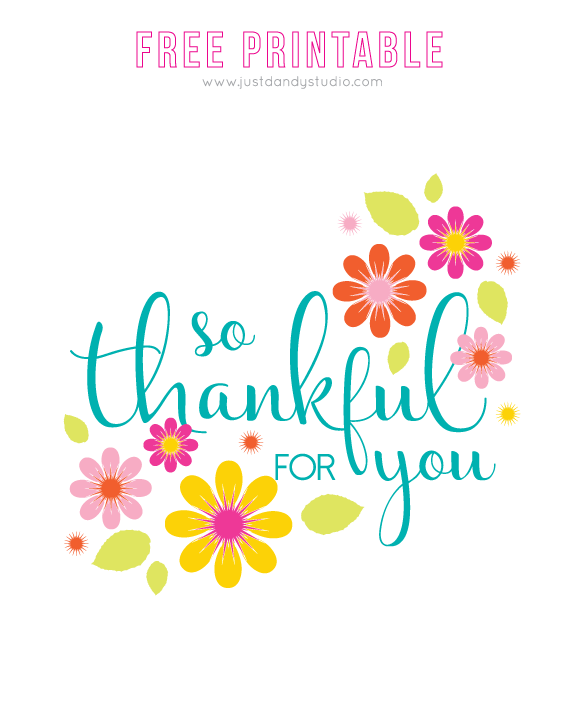 Oh, and before I scaddadle... the Just Dandy Studio Dandy Mail #2 Kit - Thankful is available So cute. And only $12! 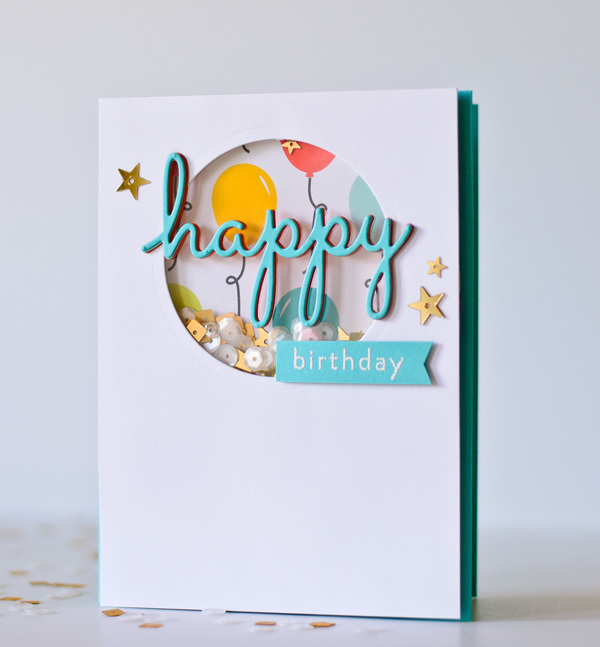 When I saw Michele Ferguson's card for the Muse Card Challenge last Monday, this idea popped in my head! Isn't her card great? I think it is pretty obvious how I was inspired! Chapter Three: "Just Do It"
First impressions count. 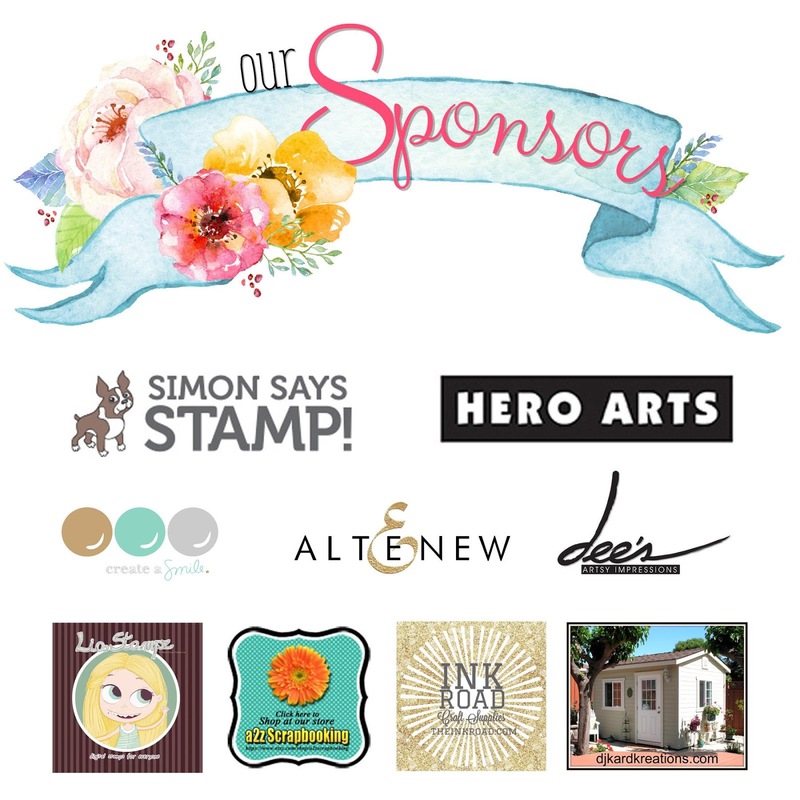 Determined to have the best Get Down With Stampin! workshop in the history of GDWS workshops. And you can file that. I hadn't talked with Gina since the day after I met her, but I was cool with that. Gina said to expect a 90% acceptance rate, but really, as much as I loved my BFF, that seemed a bit high. 80% seemed more realistic. My list had 63 names, including John's secretary, every single woman who lived on my street, all the teachers in Garrett's school, and the moms of all the kids in Garrett's class. So I figured I better be ready for 50. If they each spent an average of $100, that would be a $5K workshop!! I would earn $500 in free product. I could get more stamp sets, more ink, more paper, and some of those eyelet things. And then I found, in the back of the catty, that they sold glitter embossing powder! File that! I spent the better part of 2 days addressing the invitations Gina gave me and either mailing or hand delivering them. I asked John to give the invite to his secretary, but he told me it was "unethical" to ask his secretary to come to our house to spend money. He felt like she would feel pressured to buy. That was the dumbest thing I'd ever heard. Why was it ok for John to buy her kid's wrapping paper, but she couldn't be a guest in our home? I mailed her the invite. We lived on a typical suburban cul de sac and there was no way that my street could handle parking for 50 cars, so a valet was essential. It's $27 an hour for one valet. So I hired 2 for 4 hours. And, the valet company agreed to let the valets wear hats with a GDWS logo on them! I photocopied the logo and ordered the hats. Gina would be so surprised. Then I turned my attention to food. Food is CRITICAL to a successful anything. Francie's workshop food was .... a problem. Cheese, crackers, and the huge NO NO -- salsa and chips. Someone always leaves a trail of salsa on the floor. What was she thinking? Frankly, I was surprised that someone wearing a kilt would serve salsa and chips. I hired RSVP Catering. No need to debate that issue. Dark Chocolate Greeting Cards with Raspberry "Ink"
Gina specifically told me not to serve alcohol, but a little kirsch cream wouldn't kill anyone. Debated for DAYS on the photo booth. Thought it would provide some awesome bonding moments and memories, but decided to just ask Gina. Good excuse to call. Not sure why, but I had not heard from her in a really long time. Nope, pulled myself together and DID NOT CALL. Started picking out clothes for Gina's funeral. She must be dead if I haven't heard from her. Decided to call her. Alive. After a few pleasantries, I asked, "What do you think of a Photo Booth?" "A photo booth? Whatever for?" Gina was a little off today. "I want the workshop to be beyond fun and wouldn't a photo booth be great? On the other hand, will there be enough space?? I just cannot decide. I just love the idea of everyone having a little memento to take home as a reminder, but will there be room?" Gina hesitated for a moment, and then said "M, appreciate the idea, but really. You saw Francie's workshop. That was a great workshop! 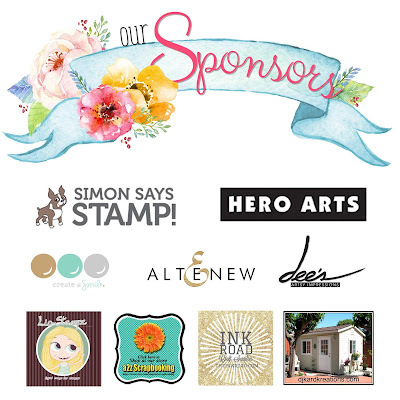 Just some friends, light refreshments, and time for me to show some stamping products and techniques, and time for the ladies to chat and place orders. So, really, please don't get a photo booth." Oh that Gina! She must be kidding about that salsa! I wasn't some average hostess. I remember when dowdy Diana Rothabba and I were assigned to bring cupcakes to the Almost No Children Left Behind Book Fair at Garrett's school. Diana brought 6 dozen home made chocolate cupcakes with chocolate frosting. Snooze fest. I bought Boozy Strawberry Margharita, Spiced Peach with Vodka Infused Buttercream, and Mmmmm Mmmmm Good Mocha with Kalhua cupcakes. Smash hit with those kids!! Assigned paper plates and napkins the following year. Diana must have complained. Can you just smell the jealousy? Nevertheless, I wanted to keep Gina happy, so I said, "Ok, boss lady! You know best." Gina asked, "Have you thought about some light refreshments?" "Yes, I've got that under control." "Great," Gina responded. "Have you had time to send out the invitations?" "Yes! I sent 63! The last ones were delivered 3 days ago." Gina squealed, "63, that's fabulous, M! Heard from anyone yet?" "Not yet. I'll wait a few more days and then do a follow up call, just like you suggested." "That's perfect. I think that just about wraps it up." Gina sounded really pleased. One step closer to the Cape. I asked her, "So what else is going on with you Gina? I hardly know anything about you or your family." Gina responded, "Oh, I'm great. I'm married and have two kids." BINGO! I knew it. I have amazing intuition about people. I .KNEW. IT. "A boy and a girl?" "No," she said. "Twin boys. They just started at An Even Better Ivy University in Cambridge." "Really? For some reason, I thought your kids were younger, like mine. You're like, what they call, empty nesters?" "Yes, we are empty nesters as of one month ago. It's weird having so much time on my hands. As a matter of fact, I just got accepted to law school! I'm starting next fall. In the meantime, I'm stepping up my stamping biz. Thank you so much for your order and for agreeing to do a workshop." My head was spinning. Empty nesters? LAW SCHOOL? This was the worst possible news. We had nothing in common. 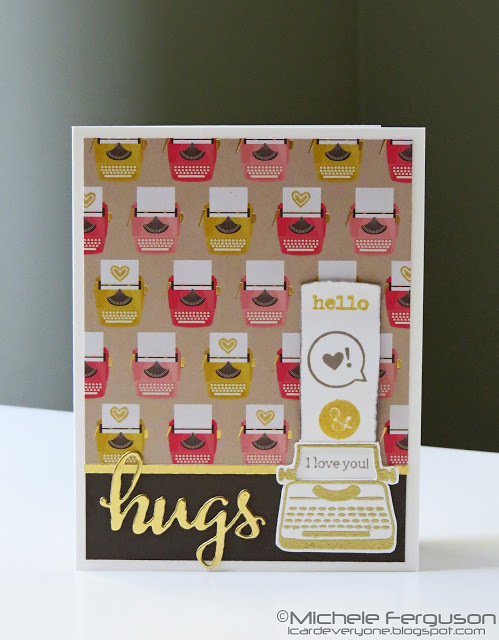 I didn't know what to say, and just babbled, "Well, I think I'm going to take to stamping. I'm thrilled to do this workshop." 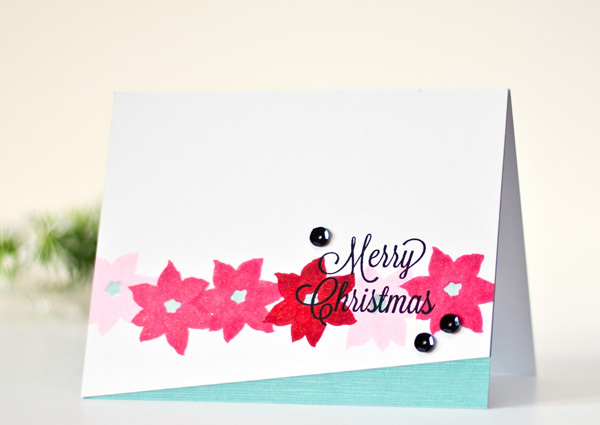 Gina responded, "That's great M. Stamping is a fabulous hobby. It's relaxing, a creative outlet, and a great way to meet people. It can change your life." "Well, ok, Gina. I think I hear Garrett coming in the door. Talk to you soon!" I hung up and sat down. Gina wasn't all that friendly anyway. Goodbye, fireflies. Goodbye, Cape. I opened a bottle of Chardonnay and ate a brownie. Four yes, 27 no, 32 nothing. Called all 32 deadbeats and reached 16. Three of them said yes! The other 13 had lame excuses, including John's secretary. Their loss! I was up to 7 confirmed yesses. Had to pick up my game. Left messages for the other 16 and told them that, unless I heard from them, I assumed that they were coming. Mentioned free, the valet, and RSVP Catering. Joked that it would be cheaper to show up than be billed for their share of the food. Heard back from all 16 and 10 of them said yes! Nothing like a little crab beignet to get these ladies out of the house. 17 people. Starting to smell disaster. Drove to Buffy's high school, bribed the guard with a bottle of scotch, and put flyers on all the cars in the teachers' parking lot. 73 flyers. Mentioned the valet and the catering and the free. Heard back from 30 and they all said yes!!! 47 people coming to my workshop!!!! 2. Remind John to take kids out for dinner. 4. Give hats to valets. 5. Supervise set up with caterer. 6. Put out pens with my name and number on them. 8. Let Gina in at 6:30 to prep. 9. 7:00 pm: It's showtime! 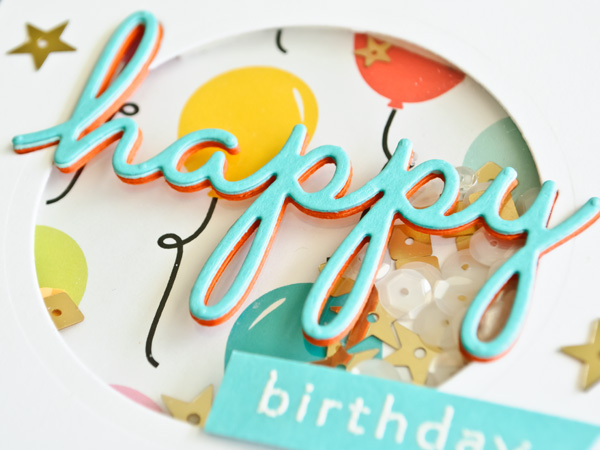 As an editor for Paper Crafts magazine and the writer of its Moxie Fab World blog, Cath Edvalson played a significant role in the paper crafting industry. When Cath left those roles, there was a hole in the industry that hasn't really been filled. When I saw that Cath was blogging now at Hip & Hooray, I was curious to see what she was up to, and I'm glad I did. 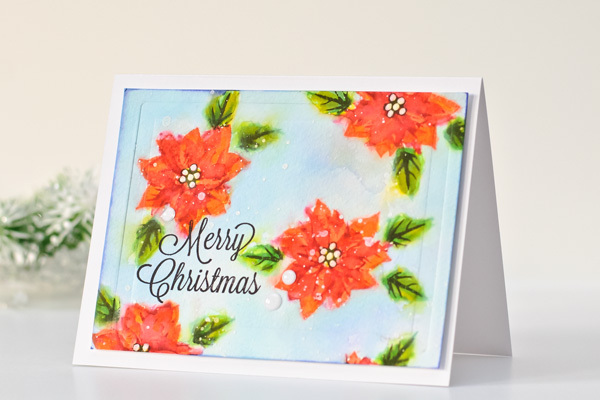 She is now designing stamps and dies for Technique Tuesday and continues to keep an eye on trends. I think you'll find this conversation with her fascinating. Cath, thanks for taking the time to participate in the interview! Q. It seems like every month a new stamp company pops up and an established one folds. What are your thoughts on what makes a company succeed in what appears to be a saturated market? How many pineapples can the industry juggle? A. Having watched this amazingly creative hobby for over ten years now, it has been quite a ride seeing what companies have emerged as product forces and which companies have struggled. I think the first quality of staying power is adaptability. Making sure that products meet the customers' ever-changing needs is perhaps an obvious challenge, but not one that all companies have been able to embrace effectively. It has definitely been interesting to see so many different stamp companies, in particular, rise up in the last few years. While I think it's awesome that so many folks feel inspired and empowered enough to give it a go, there definitely is a limit to how many products the market can support, as your question suggests. The best always rise to the top, and I think those that achieve that position do so because they focus on quality--of the artwork itself, how well-made the products are, and the customer's experience with the product from the transaction to the ease of use. And let's face it. With social media being such a key factor in the equation these days, building a positive community around a companies' products has become just as important as all the rest. Q. From the customer side, there is an avalanche of new products every day. Many of us joke about the expense of inks and stamps, etc. and our attempts to stay trendy without going broke, but it is a real issue. What advice do you have to stampers in terms of staying fresh and trendy without breaking the bank? A. When I was at Paper Crafts writing the Moxie Fab World, my main job was to inspire people to create, whether that was by showing our readers inspiring projects in the magazines we published, by featuring innovative artists in all realms of the world of arts and crafts, or by showcasing leading edge trends. Over the years, I started noticing that the most inspiring trends tend to last far more than just a season. 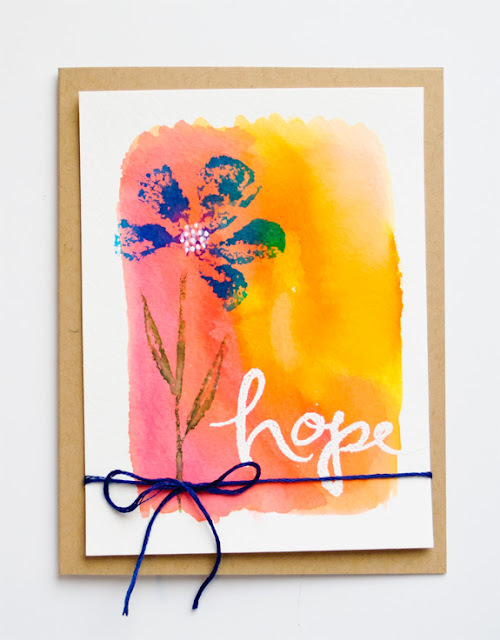 For example, I first featured the watercolor trend in the Moxie Fabs column of the March/April 2013 issue, and hosted The Wonders of Watercolor Challenge on the blog on April 17 of that year. Keep in mind, we had a 7-month production schedule ahead of the publication date which means that we were seeing the watercolor trend take off early in 2012. 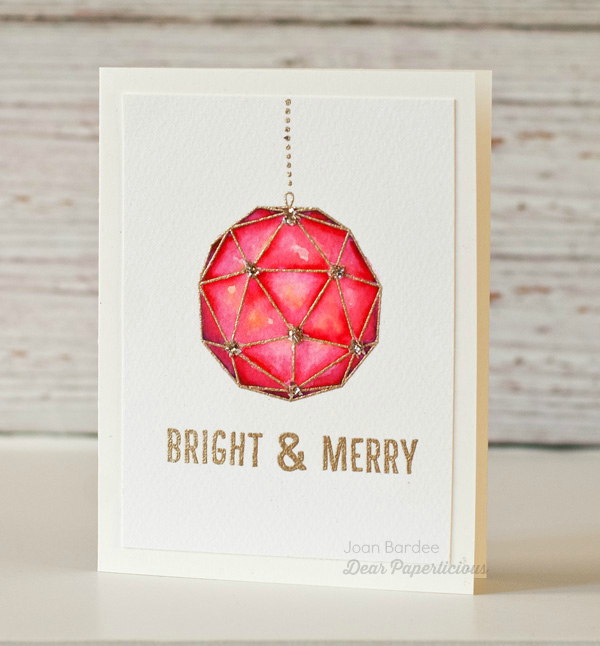 Here we are near the end of 2015 and the trend, especially as a technique, is as strong in paper crafting as it ever has been. Some trends are definitely more inspiring than others, and I think the key to staying fresh lies in first being aware of what the trends are, and then embracing those that speak to you personally. If you are a lover of all things gold, then by all means, buy the product that really revs your gold-loving engine. It goes without saying that if you like a trend, you will probably utilize it well in your designs. If geometric styles are not so much your forte, however, then feel free to give them a pass. At the heart of our creative journey is the need to express ourselves authentically. In my opinion, that should come ahead of all else. Q. In connection with your crafty life, how much time do you spend on the internet v. sitting down with paper? 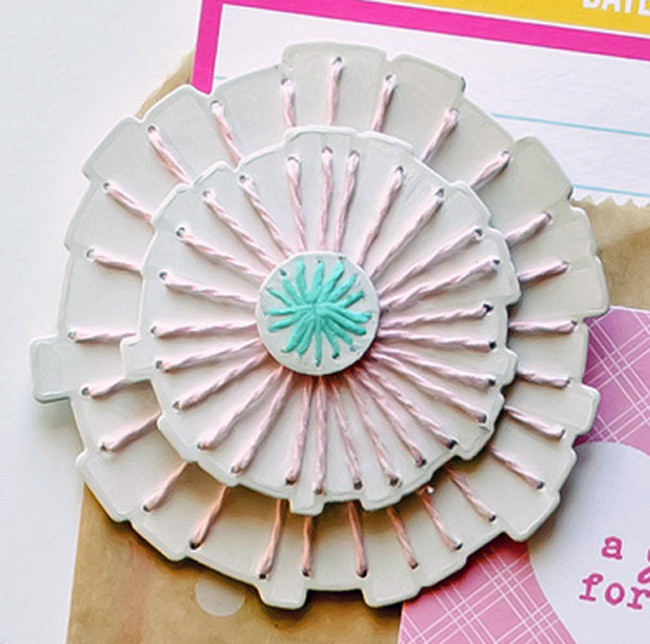 Do you have crafty friends that you spend time with (in person – not on line)? What are the effects of the internet on the creative process? A. When I saw this question I chuckled a little, because it gets at the very heart of a battle I'm waging with myself at this very time in my creative journey. When I launched Hip & Hooray at the end of July, I was spending a lot of time online looking at and gathering inspiring images to share with others. But after a few weeks of that, I realized that I wasn't spending time creating the way I had grown accustomed to doing before I launched my blog, so the frequency of my posting has dropped off significantly--which has perhaps been as much a surprise to myself as it has been to my audience. When I was working for Paper Crafts, I spent all my creative energy inspiring others. Now I want to spend more time creating for myself (and for Technique Tuesday! ), and that takes away from the time and energy I have to write my blog. I don't have a lot of friends here in New Hampshire with whom I create. I do spend time with my 15-year-old niece who likes to make cards, and recently I've been picking up some photography tips from my 19-year-old niece who is studying photography at the Rochester Institute of Technology, but mostly I am left to my own devices, which is honestly where I feel the most at home when inspiration hits. The Internet has been an amazing resource for creative communities of all types and varieties. Not only is it an astounding resource for idea-gathering, but my goodness have I connected deeply with a lot of inspiring, creative, funny, loving, kind, supportive, and all-around good people through my interactions with them online! Q. Your new blog, Hip & Hooray, is an opportunity to get personal. How comfortable are you talking about yourself? Do you think it is important for a blogger to get personal in order to connect with readers? I am, by nature, an off-the-charts extrovert, though I suspect that has changed somewhat, especially since I left my job at Paper Crafts nearly two years ago. I have always been more willing to share quiet parts of myself than others have been of themselves, and even though that sometimes catches people off guard (especially here in emotionally guarded New England), it is also what helps others trust that it is OK for them to be vulnerable with me. I don't think it is necessary for a blogger to "get personal" with his or her readers, but I do think that it helps us all connect on a deeper level with one another. I truly believe that in spite of our differences, we really are all the same deep inside. We all have hopes, dreams, fears, and shame. In the end, we are all just doing our very best to find happiness in this world, and by being open and honest with one another, hopefully we can learn how to get there--together. Hope you all enjoyed reading Cath's thoughts as much as I did. Stay tuned for next month's interview! Stamping Destroyed My Life -- Chapter Three "Just do it." Note: Stamping Destroyed My Life is fiction. It sometimes includes the name of real stampers (or names so close as to be recognizable), but only with prior permission of those kind souls. Even when I use real names, the details of those characters are not real. Any resemblance to real persons, living or dead, is purely coincidental. In other words, this is a farce. Enjoy! As I drove home from the workshop I got more and more excited, wondering when I could get together with some of the women I met, and when my package of stamping stuff would come. I'll wait a day or two and then call one of the women who gave me her number and set up lunch. Golly gambamba, this is so fun. Can't wait to tell John all about it. He'll be excited too! My husband is a very nice guy. We met at work. I had hoped to follow in Woodward and Bernstein's steps and write for the Washington Post. That's why I moved to DC after graduating from college with a journalism degree. However, apparently I wasn't the only one with that idea -- the Post didn't respond to my repeated job applications. So I thought I'd impress them with my moxie and went in unannounced and just started singing this really cool song I wrote about DC and Nixon and the Post and all that. I didn't work, but the good news was that the Post dropped all charges after I wrote an apology. I did manage to get a job as an administrative assistant at the now defunct Washington Star. John worked in the Star's legal department and we bumped into each other in the cafeteria. One look at his plate full of macaroni and cheese and I knew I had found my soul mate. Bing, bang, boom, and I was walking down the aisle at St. Matthew's Cathedral and we were married. I kept working, even after Buffy was born a few years later. However, it made no sense to keep working after Garrett was born -- day care was more than my take home pay. So, John and I decided that I would stay home. No figuring out who would stay home if anyone got sick. Dinner on time. House in order. It worked. We were happy. But it wasn't perfect. John often worked at night, and I wanted to talk to an adult once in a while. I just wanted a little more fun. Stamping was the first thing since the thing we didn't discuss that was fun. I loved the idea of doing something artsy that didn't require the ability to draw. I could just see all four of us wearing matching t-shirts on the 4th of July. What 15 year old girl wouldn't want to attend a parade with her parents and little brother in matching outfits? And then there were the other women. Lunches, coffee, exchanging recipes. I could feel it. And Gina rocked. I knew that our families would become close. I pulled my minivan into the garage, turned off the engine and sat there. My heart grew heavy. I had to cancel the order. It was over six. hundred. dollars. What was I thinking? On the other hand, this wasn't going to be like the thing we didn't discuss. Yes, it had spun out of control. I bought a sewing machine and fabric, thinking that I would make Buffy and me some cute mother-daughter outfits, just like my Mom had made us. And then I bought more fabric and an even better sewing machine because I couldn't quite figure out the first one. And then the quilting patterns and silk threads and bobbins and needles and the filling. Well, if you are going to do something, do it right, so I got a big quilt frame. Well, the big quilt frame and the sewing machine and all the fabric looked funny just sitting in an extra bedroom, so I had some cabinets custom built and the room looked so pretty! And I joined a quilting club and even went on a quilting cruise. Except for the fact that I never sewed or made a quilt, it was great! 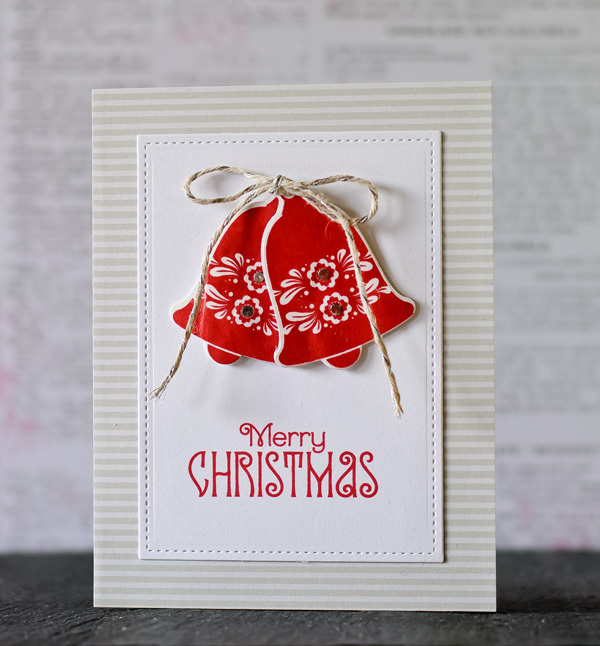 Stamping is different than quilting -- you don't have to know how to sew or draw. You don't have to know a thing! Anyone could stamp. And it wasn't going to take up an entire room. 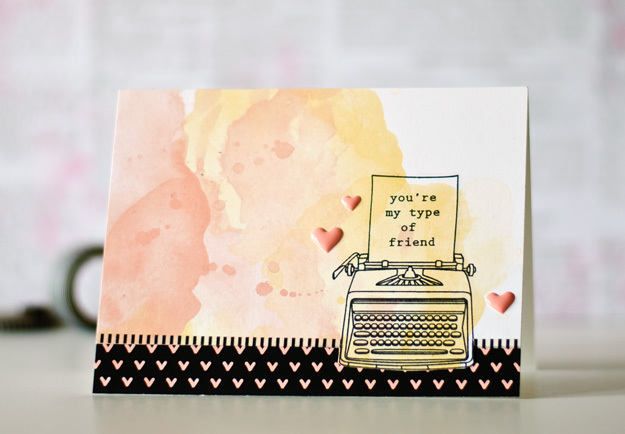 You used the stamps and ink over and over and created things that people loved! The cards wouldn't sit around collecting dust. Nevertheless, I walked in the house, put my Vera Bradley bag on the kitchen counter, and decided to cancel the order. As I walked into the former sewing room turned John's office, he looked up from some paperwork he was reviewing and smiled. "How was the party? "Fine," I said, slightly shrugging my shoulders. "What's wrong? ", he said, as he put down his work. I sat down and told him that I spent way too much and now regretted it. "I think I just got caught up. The stuff is awesome and the ladies are really nice. We had an awesome bacon dip and I got the recipe. I won a smiley face stamp and some Berrylicious ink. Two of the women gave me their phone numbers to get together. And I met a woman who can get Buffy and Garrett into We are Ivy and You're Not ... I fell in love with what I saw and went crazy." John looked at me and asked, "How crazy?" "Over 600 dollars crazy. I'm going to call Gina tomorrow and cancel the order." And I meant it. I swear on my kids' lives that at that moment in time I was planning on canceling the order, giving up the fireflies in the backyard with Gina and her family, and walking away from the whole stamping thing. "Gina is the woman I met at Craft Stuffing this morning. She's the one who is a demonstrator for this stamping company. She is super nice, and I just felt a connection with her. But I don't want to spend this much. I'll call her in the morning and cancel or I won't be able to sleep." A few seconds passed. John turned to me. "Don't. Don't cancel. $600 is a crazy amount of money. And I admit when you first said it, I thought you were nuts. It almost sounded like the other thing. But this is as happy as I've seen you in a while. Just do it. Enjoy yourself." Then John added, laughing, "Just don't make a habit of it, ok?" I gulped. "Really?," I asked. John looked me in the eye and said, "Yes, really. Come here, you goof ball." He wrapped his arms around me. "Don't you know how much I love you?" "Oh John you are the best! I know it is a lot but I am getting everything I need all at once. Oh, and I'm going to host a workshop. That means that I'll get free stuff. It won't cost us a thing to host. Plus I can cut back on a few things around here to make up for it. 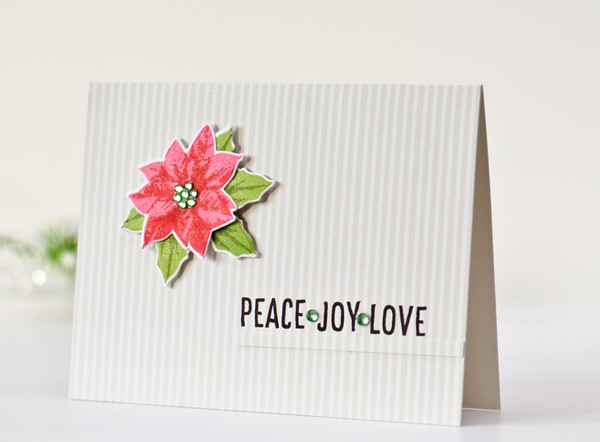 And really, I won't have to ever buy a greeting card again." I kissed him, stood up, and started pacing. "I am so excited!! You are the best. I'll never forget this." "Good," John said. "I like seeing you happy." Gina called the next day. We chatted for a few moments about last night's workshop, and she suggested a few dates for me to host my own workshop. I didn't think it would happen that fast. But Gina explained, "schedule it now even if it is a few weeks away. People need advance notice." Gina explained my duties as a host. "I have some invitations I'll give you to send. Invite every woman you know --neighbors, the crossing guard, friends, relatives, teachers, the secretary at school, anyone who works for your husband. Everyone. Plan on about a 90% acceptance rate. Everyone loves to be asked to these parties. And the more you invite, the more fun it will be, and the more free stuff you'll earn. It only takes a few big orders to give you a great workshop." "How do I get free stuff?" 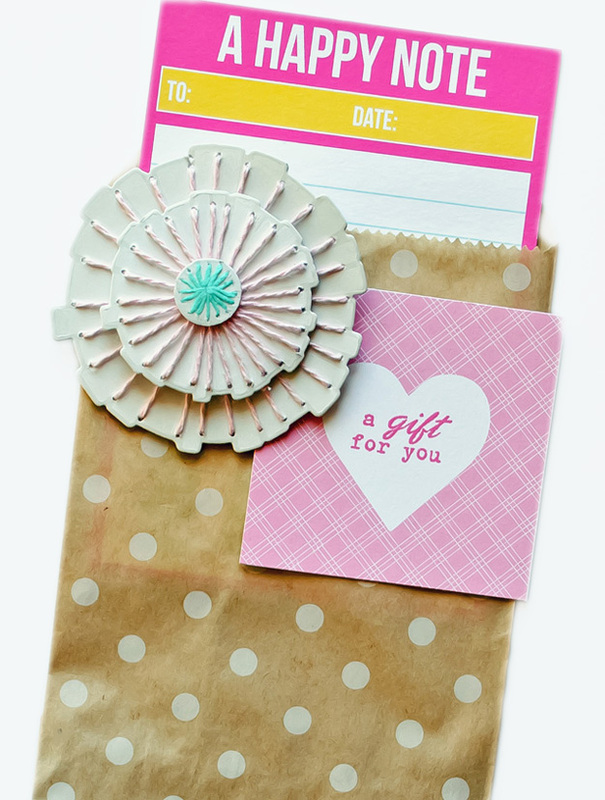 "Well, if your workshop total is $1000 or over, you'll get free shipping on your own next order, plus a free exclusive stamp set valued at $24.95 only available to hosts with large workshops. But the best part is, that for every $100 sold at the workshop, you get a $10 credit towards anything in the catty." Hmm, so Francie got $60 credit just based on my $600 purchase and she didn't have to do a thing to earn it. Then Gina mentioned, "M, I was looking over your order sheet from last night and noticed that you didn't order a black ink pad. You HAVE to have a black ink pad. It's $3.95. Shall I add it to the order?" Ugh. All the concerns I had yesterday came flooding back. "Gina,", I said, "the thing is, $600 is way more than I had planned to spend. I was actually thinking of removing some items from the order, not adding to the order." Gina was silent for a moment and then she said, "Absolutely. I don't want you buying anything you can't afford. Would you like some suggestions on what to remove?" What?? I didn't want Gina to think we couldn't afford the order. Of course we could. "Oh we can afford it. It just seems excessive." "That's fine. Like I said, I can help you remove some items." I could hear Gina distancing herself from me. The husbands hadn't even met each other and already it's over. Fly away fireflies. Ugh, why did I use the word "excessive?" I insulted her. "You know what," I replied. "Let's just add the black ink! What's a few more dollars?" "Yes, Gina, let's do it!" "Good," Gina exclaimed. "You won't regret it!" Needed a gift card holder and decided a little bag would do the trick. 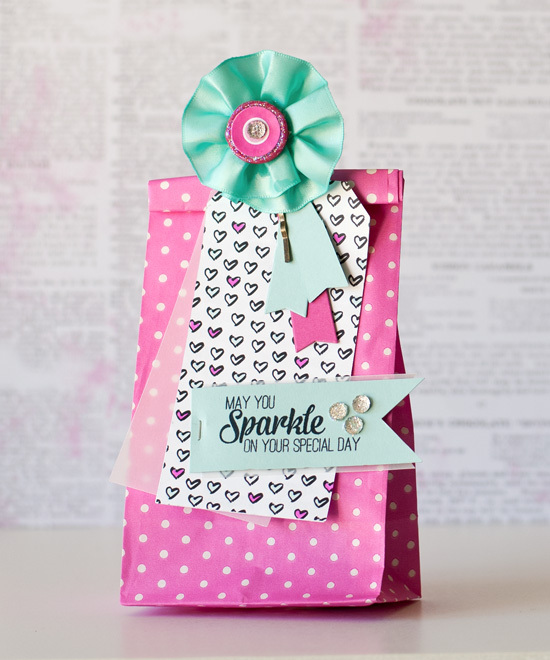 Stamped a Just Dandy Studio Kraft Polka Dot Party Bag with this gorgeous and fun border stamp from Waltzingmouse Gift Card It. Added that fun Happy Hearts tag and doily from Just Dandy and some twine and clothes pin from my stash. Stamped the tag with a sentiment from a retired Papertrey Ink set. 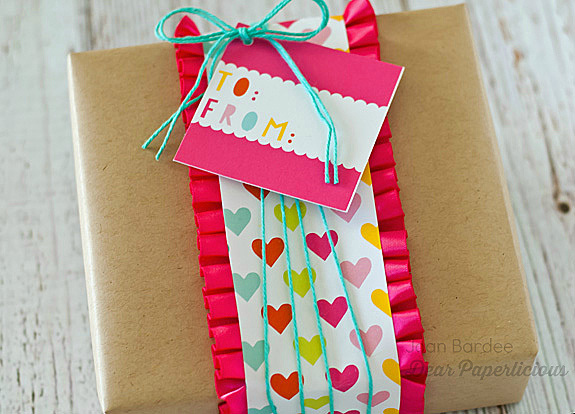 Featuring the Party Balloons wrapping paper sold by Just Dandy Studio. It's fresh and fun and perfect for kids or adults, male or female. Decided to use it to make my first shaker card. It was easy (except for forgetting to put the sequins in the first time around!). Got to the address Gina gave me a few minutes after seven. 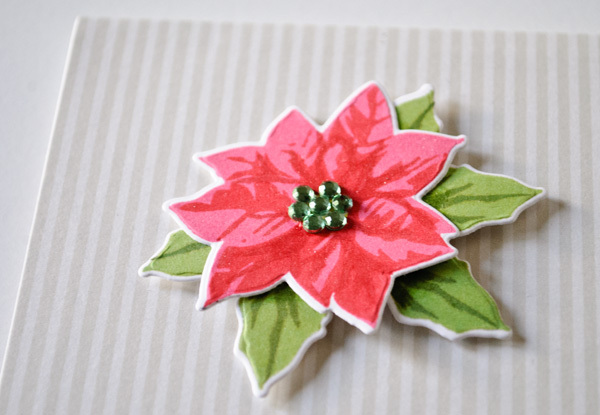 There was a big wreath made out of stamped flowers on the door with the words "Get Down With Stampin! Workshop -- Happiness Starts Here" in the middle. Guess I was in the right place. A couple of kids wearing matching t-shirts with red and blue stars opened the door. They said in unison, "Hi, come right in. Our mom stamped these t-shirts and you can too." I stepped in and told them, "Well, they are darling. Your Mom must be a very good stamper!" "Oh she is," said the older one. "That's nice, " I said, as I started to look around. Then the little one piped up, "Yeah, my mommy stamps so much we have to sleep on the sofa now. Daddy says her crap has taken over the whole house." Kids are so funny! How much space do you need for a few stamps and ink? I walked into an L shaped living room/dining room combo. A long portable table was in front of the fireplace and off to each side were displays with dozens of handmade cards. Order forms, pens, magazines (? ), and a bunch of things that were stamped were piled on another table in front of the bay window. Sneakers? You can freaking stamp sneakers? I spotted Gina K. She was clearly the star of the show, chatting and introducing folks. She was wearing a red checked apron with GDWS on the pockets over khaki slacks and a black turtleneck. As I walked up to her, she ran over to me. "Oh, I'm so glad you came!," Gina exclaimed. She was so nice. "Thanks for inviting me," I replied. Gina continued, "Francie, come here. M, this is Francie Mrkich. Francie, this is M. Francie is living it up Big Time in the the Big Apple. She's visiting her sister, Tricia, and is using Tricia's lovely home to host tonight's workshop." Francie was a little slip of a thing, cute as a button, and was wearing a kilt! And a black velvet headband. I was still in my jeans and suddenly felt drab. There should be a rule that every invite comes with a description of what everyone else will be wearing. Francie extended her hand, "Welcome! So glad you could make it." "Thanks," I replied, shaking her hand. "This is all so new, but kind of fun. So you live in New York?" "Yes I do. I run the library at We're Ivy and You're Not University. Could Francie could get Buffy or Garrett into her university?? File that. "Wow, that's impressive. And you still have time to stamp?" I asked Francie. "Absolutely. I haven't cooked a meal in years." And then she continued, leaning in to me a bit conspiratorially, "I stamped this kilt! But, enough about me. The cattys are over there," she said pointing to a pile. "Take one and start browsing. The show should start in a few." Cattys? I wandered to the table with the stamped sneakers and papers and saw the pile of materials labeled Get Down With Stampin! 2001 Idea Book and Catalog. Ahh, this must be what Francie meant by catty. I grabbed a "catty" and went to look at the display of cards. Lots of flowers, bears, and Christmas trees. Ooh, one of them looked embossed! I reached out to touch the embossed tree when some woman slid up to me and said "Hands off honey! We look but we never touch." I flinched and she immediately introduced herself. "Hi, I'm Sarah, Sarah Moore. First time?" "Oh goodie, a virgin stamper. Just remember. It's cheaper than therapy! In fact, it's my birthday today so I'm treating myself to an extra session!" "Ladies, ladies, let's get started, shall we? The room settled as the women took seats near Gina. "I'd like to thank Francie for being our hostess tonight. You all should have your cattys. If not, grab one 'cause I swear on my pile of background stamps, THIS IS THE BEST CATTY EVER." And Gina went on, talking and demonstrating some new products. Then, she asked for a volunteer to try out a new technique. "I'll do it!" I sort of shouted. Folks laughed but I couldn't help it. This stuff was amazing! Up I went, and Gina showed me how to use a little paint roller called a brayer. I ended up rolling it on a multicolored ink pad over and over and then rolled it on some glossy paper. Wow! A shiny rainbow effect. And then you stamp a sentiment on it. The paper is so shiny it looks wet, but it is bone dry. What rock had I been living under that I didn't know about all this? Gina went on to showcase some new products and pointed to some samples. We played a little game and I won a small smiley face stamp and a little cube of Berrylicious ink!! 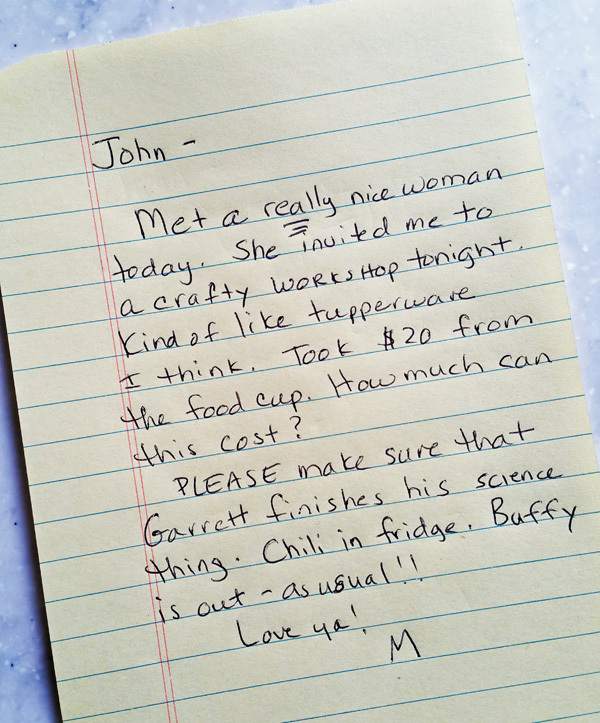 I can stamp little notes to John! He'll love it. Then the workshop portion ended with a message from Gina about the critical importance of color matching -- she pointed out that green in particular was almost impossible to match unless you purchased supplies that did the matching for you. I loved that idea, having painted our living room three times before I got the shade of green I wanted. The thing was, I had no artistic talent and I knew it. But if the company took some of the guess work out of it, I could do this! Then Gina suggested that we sign up to be a hostess or a demonstrator. She explained that if we did, we could get a lot of free stuff, but more importantly, it was a way to make connections with people in a meaningful way. File that. Gina came by and asked if I needed any help placing an order. "Yes! I want it all!" Gina sat down with me and stated, "Let's make a list of the basics. To be honest, there is an initial up front investment in some high quality tools. But these tools will last you forever and you'll never have to spend this amount again. And, have you seen the cost of greeting cards? Hallmark is making a killing! Since you won't need to buy them any more, in the end you will be saving money." I really appreciated her honesty. That doesn't look bad, I thought. I didn't really know what a brad was, but if Gina included them they must be important. Plus, limiting myself to one color family was a relief. Gina showed me how to fill out the order form. I chose the Bugeyed Brights color family. Picked out a stamp set of cute flowers, a scribbly looking background, and set of sentiments to cover all occasions. I'd never need another sentiment set again!! Perfect. But I had to have the brayer and some glossy paper too, so I added those to the order form. This really WAS fun. The other ladies WERE nice. Everyone was filling out their orders, sipping wine, and chatting about their kids and school, and husbands, and stamping. Several introduced themselves to me and suggested we get together to stamp!! I could do this forever. I gave my order form to Gina and she added it up. It came to $585. And then she added tax and shipping. That's ok, I thought. It was an investment and I'll tell John he doesn't have to get me anything for my birthday or Christmas. He'll be thrilled! Gina asked if I wanted to host a workshop in the future. "It's a great way to get to know people and earn free supplies. People love to go to workshops!" Well, why not? I could ask all those neighbor ladies, and school moms, and some church folk that never pay any attention to me. Then I could get to know them better. And I'd have an excuse to get together again with Gina. I could almost taste the salt air near the beach house our families would be sharing. I hope we choose the Cape. There's something so special about breathing the same air as the Kennedys. "Sure," I said. "I'd love to host." "I'll call you tomorrow to set a date," said Gina. GINA IS GOING TO CALL ME TOMORROW!! I said my goodbyes and left. My feet barely touched the ground as I walked to my car. I love my husband and I love my kids. I'd die for them. But this was different. It was just for me. Note to self: Buy a black velvet headband, t-shirts for the kids, and white sneakers. Be nice to John. Get Francie's number from Gina.